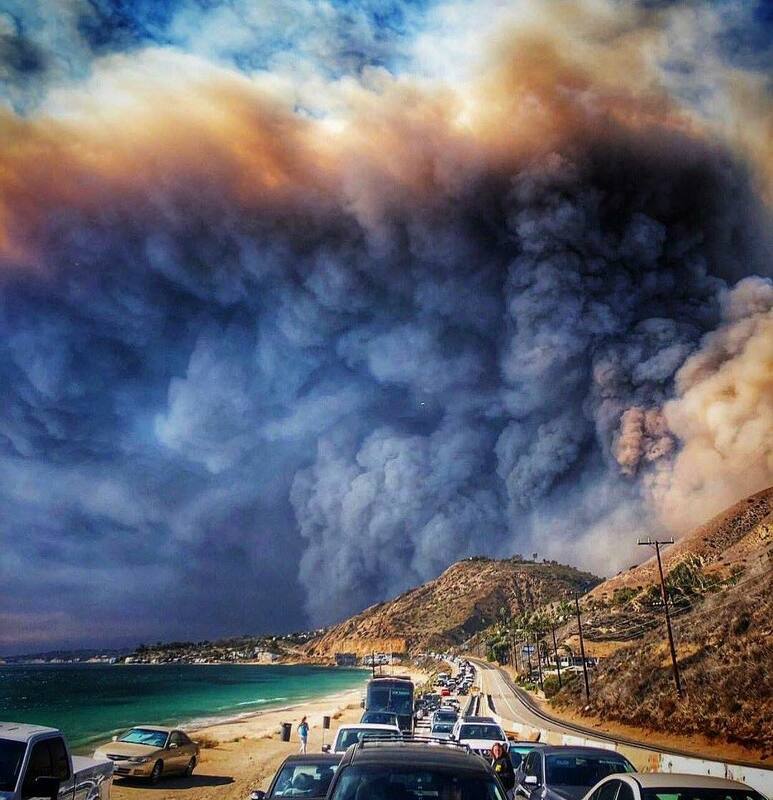 Malibu’s local surf community has been devastated by the fire. Numbered among those who’ve lost their home is WSL Commentator Strider Wasilewski and his family. Laird Hamilton stayed home despite the mandatory evacuation and staved off the flames with his pool water (watch him drive his Hummer through what looks like hell in the Instagram post below). The parking lot at Zuma Beach has been converted into a makeshift camp for evacuees and a staging area for firefighters. Viral photos showed horses on the beach and llamas tethered to lifegaurd towers while ash rained down. The insensitive tweet drew obligatory celebrity criticism, like many of his tweets do, but responses from those risking their lives on the front lines are perhaps the most powerful. The Pasadena Firefighters Association responded to the President with the following, "Mr. President, with all due respect, you are wrong. The fires in So. Cal are urban interface fires and have NOTHING to do with forest management. Come to SoCal and learn the facts & help the victims." Meanwhile, the deadly Paradise, California fire in Northern California, near Chico, continues to rage out of control too. So far 23 people are confirmed dead and over 100 are missing. Below are some digital dispatches from those in the surf community on the scene. The Surf Slab thoughts are with those affected by the disaster and the brave firefighters working hard to curtail more loss.